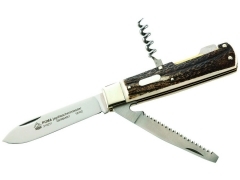 Puma - Toolshop - OutTac Gear - High Quality European Cutlery since 1996! 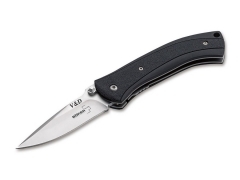 The Puma Automesser ist the same as the Puma White Hunter, but has Plumwood handles. 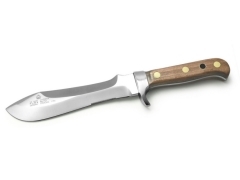 Noble knife with Jacaranda handle. 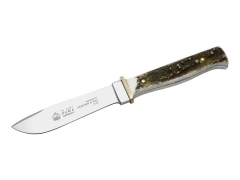 Small hunting knife with riveted staghorn handle. 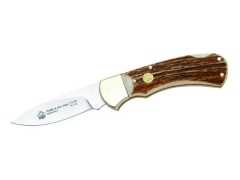 The Puma Hunting Folder - 1-part comes rustic and without frills. 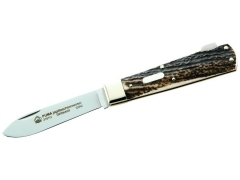 The Puma Hunting Folder - 3-parts offers three strong tools. The main blade and the saw are completed by a cork screw. 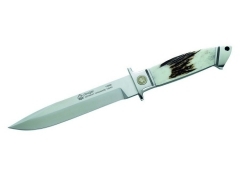 Puma Hunting Folder with riveted staghorn handles. 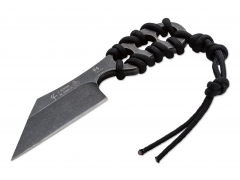 This knife has a large blade, gutting blade, saw and corkscrew.